It’s no secret now that chronic disease and obesity are on the rise in the Western world. In fact, even in many underdeveloped countries, the WHO noted an increased incidence of diseases like diabetes, cancer, liver disease, and heart disease. Could the common link be the higher demand for a Western diet? Liver disease and chronic liver inflammation are all too common in the West and a study published The American Journal of Pathology suggests that it’s not just in those who consume too much alcohol. Mice who were fed a diet mimicking that of a typical Westerner, developed marked and chronic liver inflammation, while in rats who were fed other diets, the incidence was much lower. Could we be killing our liver with our every-day food habits? What is it about the Western diet that makes it so detrimental? How can we do better? To understand the link between liver inflammation and a Western diet, you first need to know what a typical western meal looks like. 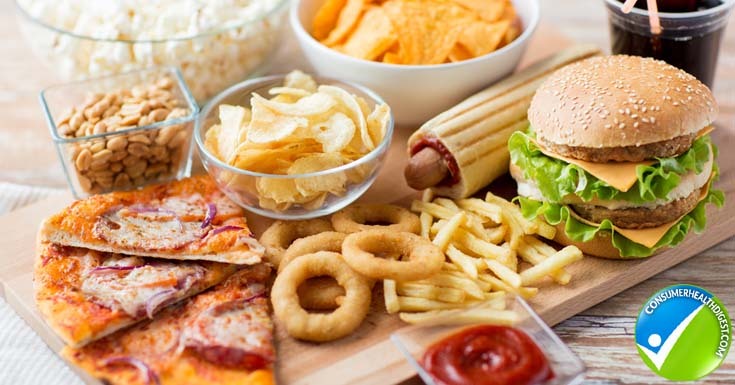 A Western diet is loosely defined as, “one high in saturated fats, red meats, ’empty’ carbohydrates-junk food-and low in fresh fruits and vegetables, whole grains, seafood, poultry,” by the Medical Dictionary by Farlex. So, on a plate, you might see a hamburger or a steak, a big side of French fries, and a token salad shoved off to the side, covered in cheddar cheese. 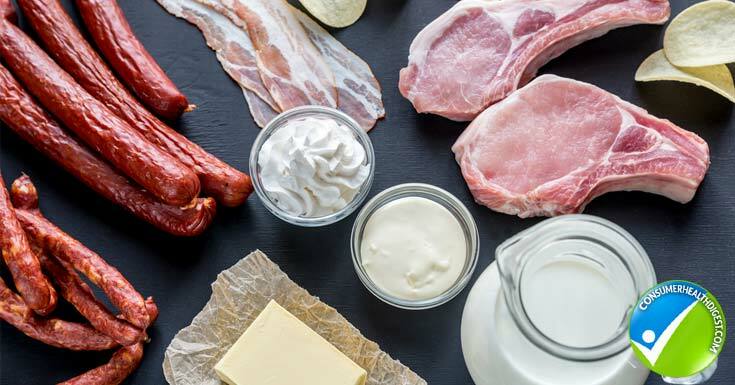 Even the so called, “healthy” foods like white meats and yogurt and eggs are high in saturated fat and sugar and offer little in the way of vitamins or enzymes. If any of these sounds familiar to you, then you may need to pause and think about your liver health. When you think of hepatitis, you probably assume it’s referring to Hep B or one of the several other viral hepatitis. However, hepatitis actually just means, “inflammation of the liver.” You’ll hear a lot about viruses, drugs, alcohol, and autoimmune disease causing hepatitis. Unfortunately, the effects of diet on the liver are not so often mentioned. What are the Causes of Dietary Liver Inflammation? There are still many mysteries surrounding diet and the disease processes linked to a poor-quality one; still, there are several possible causes of dietary liver inflammation that have come to light in recent years. It’s much easier to over consume added, refined sugars than it is to eat too much fruit. It has little bulk and you can eat a ton of it without really feeling full. Unfortunately, a large part of a typical Western diet consists of sugary snacks and processed food laced with sugar and high-fructose corn syrup. Studies link these sugars, especially processed fructose, to something called nonalcoholic fatty liver disease which can lead to damage called steatohepatitis, which is a fancy way of fat and inflamed liver. Prolonged periods of this damage can lead to irreversible cirrhosis. Processed meals, i.e., microwave meals. And the list goes on. It’s tough to stomach, but the western diet is so chalked full of added sugars it’s hard to stay under the recommended 25 grams of added sugar per day! You can surpass that with one Starbucks Caramel Macchiato! People used to be under the impression that all fats could lead to obesity and fatty liver. That’s not so, according to the recent data collected. The Medical University of South Carolina conducted a recent study linking saturated fats, not unsaturated fats to fatty liver, increased incidence of liver cancer, and inflammation of the liver. Sound like everything you enjoy? You may need to start thinking outside the box and find some alternatives. The AHA recommends that you only get about 5% to 6% of your calories from saturated fat. You may have noticed that in the previously mentioned case study, liver problems tend to be associated with obesity; it’s true that obese people are at a much higher risk than thin people for developing fatty liver disease. It makes sense, right? If you’ve got a lot of fat on the outside, you’ve probably got it inside too. If you’re normally on the outside, your insides should be lean too! As it turns out, no. Appropriation of fat is actually a bigger risk factor in fatty liver and its associated inflammation than just BMI. You may be relatively thin on the outside and still have too much visceral fat nestled in around your internal organs. You may be wondering what in the world you’re going to do now! If you were raised on a typical Western diet, then almost all of the foods you grew up with are huge culprits in liver inflammation and a whole host of other chronic diseases. The good news is, early stages of liver inflammation are reversible. Here’s how to start. Replace your saturated fats and high-LDL containing foods with unsaturated fats and HDLs. Eat plentiful amounts of these with every meal as they are cleansing, high in nutrients, and low in fat. Yes, fruits have sugar, but not in nearly the quantities seen in processed foods and sweets. You may have heard of people healing their liver with juice fasts and raw diets, and these are now indeed common therapies for liver disease. You don’t need to go to this extreme unless inclined, but at least increase your daily intake substantially. Whether it’s thirty minutes of resistance training or you’d prefer to go for the cardio gold, exercise will help you get rid of fatty liver and inflammation. I recommend you find a few exercise regimens you enjoy and alternate between for the best results.